Custom and cool! Ready made too! 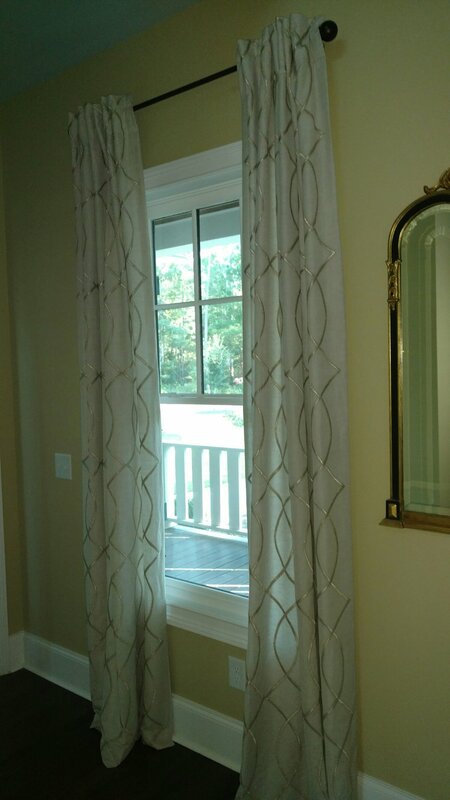 A few pics of yesterday's install of a fabulous shower curtain, drapes, and Romans! We carry a Wonderful line of ready made drapery with sizes immediately available at 96 long or 108! Fully lined and ready to hang! We love the ease of pairing them with custom too!